Explora Academy of Design provides NATA Coaching Classes.Founded in 2009 by Manoj Patel and Parth Chitte, two young aspiring architects to keep aspiring students of architecture from facing the same troubles and hurdles as they faced through their journey. Explora started with a humble beginning with few students and faculties to one of the largest and most successful coaching centers of NATA in terms of student intake not only in its home city but through out Gujarat. 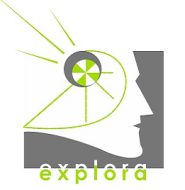 Explora Academy of Design conducts classes in NATA Coaching. It is located in Ellora Park, Vadodara. It takes Regular Classes- at the Institute.